When you use our website, you may be asked for personally identifiable information such as your name, address, date of birth, email address, telephone number. By giving us such information, you will need to consent to our company using it in the manner described in this policy. 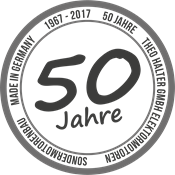 You may withdraw your consent at any time by emailing us at info@halter-motoren.de. We will return or destroy your personal information within ten days of receipt of your withdrawal of consent. Cookie information, pages you have requested and your IP address may also be recorded by us from your browser as set out in this policy. We use personal information to allow us to process your service requests, provide access to privileged areas of the Websites, send out newsletters, personalize your visit to our website and enable us to improve the products and services we offer. We may occasionally carry out market research and send you details of services and offers that we think may be of interest to you. 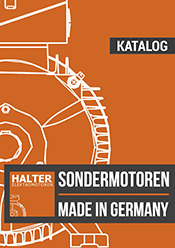 If you do not wish to receive such information, please e-mail info@halter-motoren.de or, alternatively, when we send you an e-mail, it will contain a provision for you to opt out of receiving any further information from us. All security on our Websites is treated seriously. Where applicable we undertake security steps on our back-end systems that store customer account information and to protect data transmissions. However, this is not a guarantee that such data transmissions cannot be accessed, altered or deleted due to firewall or other security software failures. If you have any further concerns about security, please email our Customer Service team at info@halter-motoren.de.